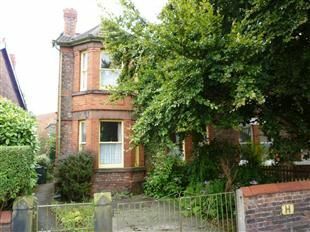 Jones and Chapman are delighted to offer for sale this Victorian semi-detached home which is in need of modernisation. The property comprises entrance vestibule, entrance hall, downstairs cloakroom, three reception rooms, kitchen, four bedrooms, bathroom, gardens, off road parking and gas c.h. Jones and Chapman are delighted to offer for sale this Victorian semi-detached home which is in need of modernisation but does retain many of its original character and features. The property comprises entrance vestibule, entrance hall, downstairs cloakroom, three reception rooms, kitchen, four bedrooms, bathroom, front and rear gardens, off road parking and gas central heating. The property also offers no onward chain. Doors to lounge, dining room, sitting room, cloakroom, stairs to first floor, understairs storage cupboard, double radiator and door to rear lean-to. Two piece suite comprising low level WC, wash handbasin, side aspect frosted sash window and wall mounted boiler serving domestic hot water and central heating. Front aspect bay window with sash windows, tiled fireplace with electric fire, two double radiators and picture rails. Two front aspect sash windows, tiled fireplace with electric fire, picture rails and double radiator. Rear aspect window, fireplace, storage cupboard with shelving to either side of the chimney breast recess and double radiator. Fitted kitchen comprising wall and base units (in need of modernisation), stainless steel double drainer sink built into rolled edge worktop surfaces, cooker space, space for fridge/freezer and rear aspect window. Doors to bedrooms one, two, three, four and bathroom, rear aspect sash window and single radiator. Two front aspect sash windows, original cast iron fireplace with tiled surround. Front aspect sash bay window, double radiator and original cast iron fireplace with tiled surround. Rear aspect sash window and original cast iron fireplace. l-shaped, side aspect sash window. Three piece suite comprising panelled bath with shower unit over, pedestal wash handbasin with mixer tap, low level WC, part tiled walls, single radiator, access to loft space and rear aspect window. Front garden enclosed by retaining walls, double gates leading to driveway offering off-road parking and further single gate onto pathway to front door. Rear garden with lean-to at the back of the house, enclosed by panelled fencing, brick built outbuilding, mature established gardens, flagstoned and hardstanding areas, flower bed borders and gate to side.